Dydacomp is excited to announce the First Annual M.O.M. and SiteLINK User Conference. This one day user conference will be held June 4, 2012 in Chicago, IL to coincide with Internet Retailer 2012. Don’t miss this opportunity to network with the Dydacomp Executive Team and M.O.M. users from across the country. The agenda will be focused on providing you with the beneficial information that will help grow your business. You can expect to learn valuable M.O.M. and SiteLINK tips, industry best practices, insight from industry leaders, and much more. Getting the Most From M.O.M. 1. Gain insight into Dydacomp’s operations & product roadmap, network with Dydacomp’s executive team, hear industry best practices from leaders in the space, and more! 2. Dydacomp focused networking environment meeting M.O.M.& SiteLINK users from across the country and even your local area. 3. Interact with Top Dydacomp Partners, Vendors, and Consultants on location. We look forward to seeing you there. Click here to register now! The 4th of July weekend is upon us and we hope everyone has a great holiday weekend filled with fun, fireworks, and BBQs. 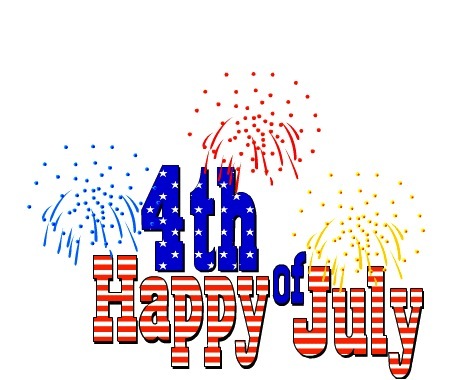 The Dydacomp offices will be closed on Monday July 4th. All non-critical issues will be handled by technical support on the next business day, Tuesday July 5 during normal business hours. Don’t Forget to Backup SiteLINK too! The Dydacomp team is always reminding customers about the importance of backing up your Multichannel Order Manager system and hopefully customers have taken our advice to back up their M.O.M on a daily basis. Backing up your M.O.M. system is a crucial step to help ensure the integrity of your data, but many people don’t realize the importance of backing up your web design pages for your SiteLINK eCommerce store. This back up helps ensure that if you make changes to the design of your web store, you will always have a copy of the original to restore if issues arise. The SiteLINK eCommerce team here at Dydacomp have received a number of calls because clients have forgotten to save their website (.asp) pages before making adjustments and lost custom work and other designs. Failure to back up your SiteLINK eCommerce pages can result in the loss of your custom work that could hurt the functionally of your website. It is important for SiteLINK clients to save their .asp pages before making any changes to your SiteLINK store to ensure you have a back up copy to restore if you accidently change specifics of your site. 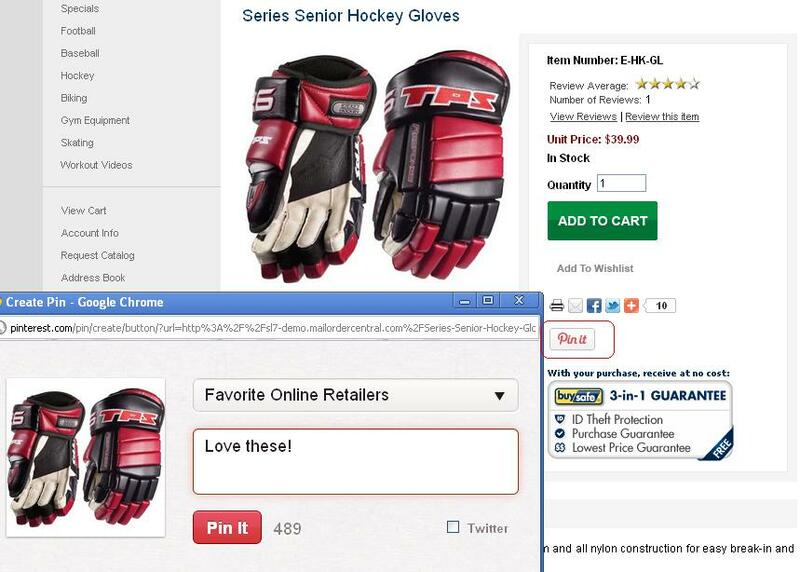 I recommend that clients make a copy of any SiteLINK eCommerce .ASP page they are going to be editing. Copy and paste the .ASP file to an area on your computer that you will be able to access if needed. 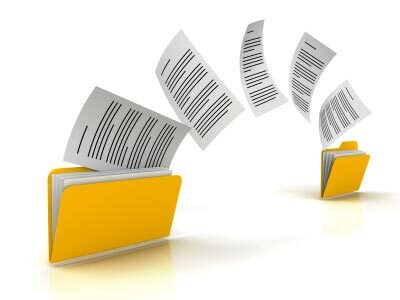 I usually recommend to SiteLINK clients that they should create a new folder called BACKUP within their FTP site, and copy and paste any .ASP files they make changes to. This will help prevent the loss of your web design in the future. Two key factors needed to run a successful eCommerce store are the ability to keep accurate inventory counts and the ability to fulfill/process orders in as close to real-time as possible. Multichannel Order Manager offers your business the ability to automatically download orders, while keeping inventory management accurate by automatically synchronizing online inventory in a batch. M.O.M. is able to check your SiteLINK eCommerce store every 5 minutes for new orders. If there are any new orders found, M.O.M. will then automatically download them. To activate inventory synchronization for your SiteLINK store, you must have this option enables in M.O.M.. Once this option is enabled, M.O.M. will upload the updated inventory availability to your SiteLINK eCommerce site. It is necessary to keep accurate inventory management to ensure that your customers know before purchasing if an item is unavailable or backordered. The lack of synchronization can cause issues that lead to customer dissatisfaction and a loss of sales. Let us help you get as close to a real-time order download/inventory synchronization as possible to improve the quality of your online store. 1. The first step is to set up the Import/Export Module Default Settings. 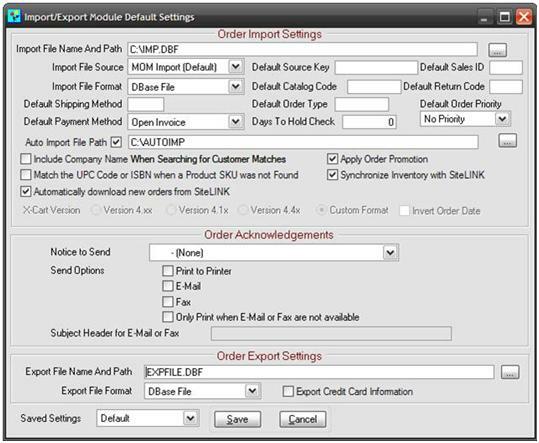 To do this go to the Options drop down menu, followed by the Order Import/Export Module option and then select Define Settings option. 2. Select the Auto Import File Path and enter the location where your files will be automatically imported to and stored. Note: DO not use the M.O.M. data dictionary for the auto import file path. 3. Select the Synchronize Inventory with SiteLINK and Automatically download new order from SiteLINK options and click SAVE. 4. Next, you must define the location for the auto-import files. 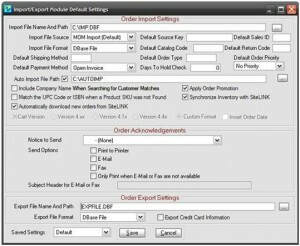 To do this go to the Options drop down menu, followed by the Order Import/Export Module option and then select Automatic Import. Select the “This import is an internet feed file” option and enter your SiteLINK stores URL. 5. Enter your SiteLINK Ecommerce Store Credentials. Utilize M.O.M.’s Automatic Order download/inventory sync for Your SiteLINK eCommerce Store today. Feel free to add comments or questions below. TOTOWA, N.J., April 15, 2011 – Dydacomp, a leading provider of business technology platforms for ecommerce and multichannel merchants, announced today that the average SiteLINK eCommerce client experienced double digit growth in number of visitors, orders, and total revenue during the month of March 2011. The average SiteLINK eCommerce store saw a 34% increase in number of visitors to their online stores over March 2010. The number visitors to SiteLINK stores also increased 20% in March 2011 compared to February 2011. The average SiteLINK store experienced a strong 12% increase in their average number of orders per day over March 2010 and a 27% increase compared to February 2011. The notable increase in traffic and orders contributed to the 12% growth in revenue per day over March 2010 experienced by the average SiteLINK eCommerce store. These online stores also experienced an impressive 25% increase in total revenue for the month of March compared to February 2011. As stores experience this steady increase in online orders, SiteLINK’s functionality continues to provide stores with the stability and efficiency needed to process and handle the demand. For more press releases, check out our website. Good news for eCommerce merchants as online spending grew for the fifth consecutive month this March. According to a recent article from Internet Retailer, online spending in March increased 16.1% over the same time last year. This rise in spending follows the 13.2% increase in online spending compared to February of 2010. The rising gas prices may be one reason shoppers are choosing to shop online rather than to drive retail locations. SiteLINK eCommerce customers have also experienced this double-digit increase in online spending. The average SiteLINK store experienced a strong 12% increase in average number of orders per day compared to March 2010, which lead to the fifth month of consecutive growth in online revenue. The notable increase in traffic and orders contributed to an impressive 12% increase in revenue per day over March 2010. Whatever the reason for the growth one thing is clear, the online market is a growing marketplace and with the right tools eCommerce merchants can benefit. SiteLINK’s eCommerce offers SEO features, selling tools, integrated cross channel customer management along with social media sharing which help to increase stores online visibility. This visibility has helped to drive traffic to online stores and increase conversion rates to produce that exciting 12% growth. Lets hope April follows this steady growth and produces six consecutive months of growth. Has your eCommerce store experienced similar growth? If so we would love to hear about what efforts have helped you seal the sales and grow your business! A month ago Ryan Galicia, a Dydacomp M.O.M. XL Team Leader, wrote a blog about the importance of updating your M.O.M. system. To emphasis the value of backing up your M.O.M. system, our staff here at Dydacomp has decided to host a webinar on backup and maintenance for your M.O.M. system. Space is limited so it is important you register soon! At the end of the webinar there will be a question and answer session with staff present for both VFP and SQL. This is a perfect opportunity for you to ask questions and receive valuable feedback M.O.M. experts. Don’t forget to sign up for M.O.M./ SiteLINK eCommerce Training April 6 – April 8, 2011. The training offers you another opportunity to learn the ins and outs of M.O.M. and help you use M.O.M. more effectively for your business. For further training information, Check out this blog or the registration on our website. I look forward to hearing from you.